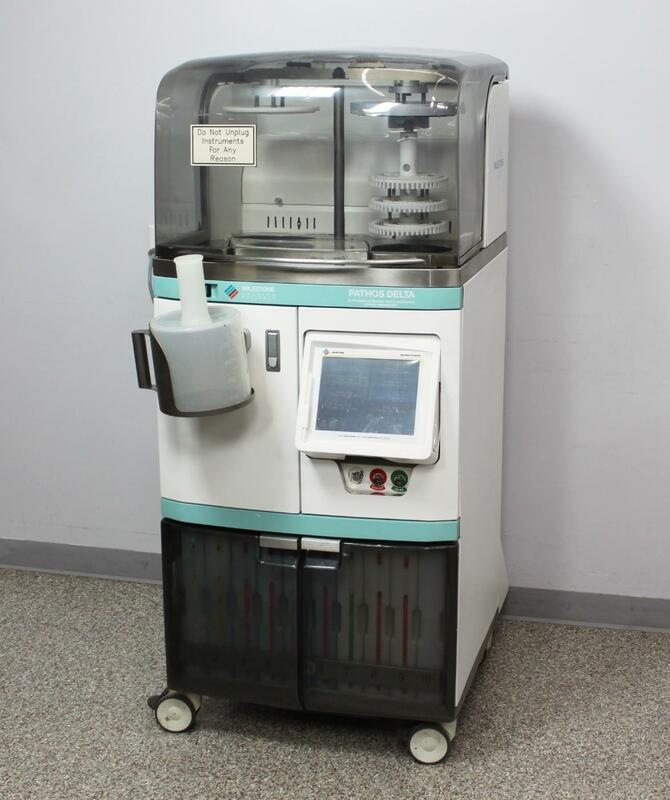 Milestone Pathos Delta Rapid Microwave Histoprocessor Tissue Processor w/ Rack . New Life Scientific, Inc.
Refurbished. Full Set of Bottles. 90-Day Warranty. our facility to operating the instrument in your laboratory. including a few small scuffs and scratches on the exterior as shown in the photos. those areas from further wear. making it delightfully smooth and easy to roll around the laboratory floor. lines before storage. Long hot cycles performed to help remove salt from lines. comes with everything you need to begin processing your samples. Consumables/reagents will need to be acquired separately. but we test all of their core features and repair any issues. the risk of buying an untested, unwarranted instrument from an unproven seller. small labs to major universities like Ohio State.